I'm tackling my first attempt at re-doing the fabric on a piece of furniture. It just so happens that it will also be my first time using a sewing machine. Perhaps I have lofty goals. 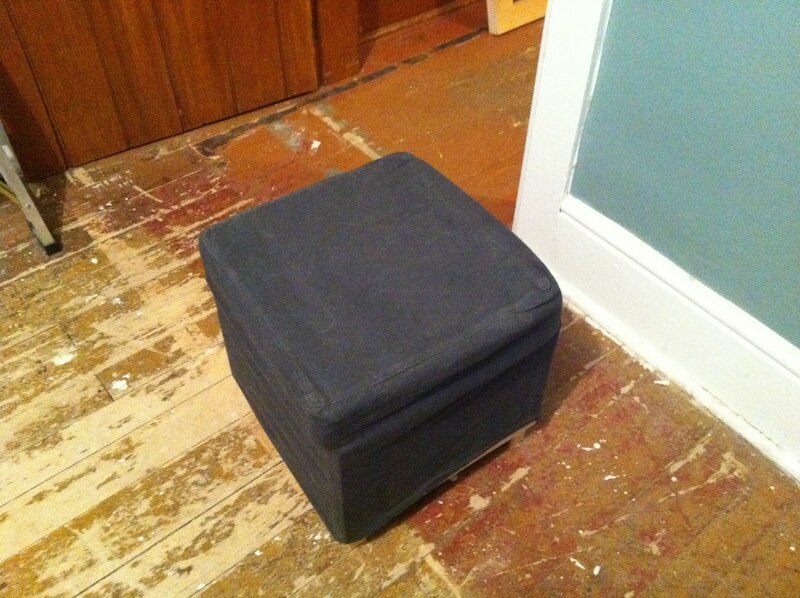 When I lived in a teeny tiny basement apartment, I purchased two cheap-o Ikea ottomans in lieu of a coffee table. They cost a whopping $17 each or something like that (I was on a budget, hence no coffee table!). Now that I live in my very own house and can make significant decorating decisions, I've decided to re-cover the little lumps. Right now, they are ugly and frumpy. 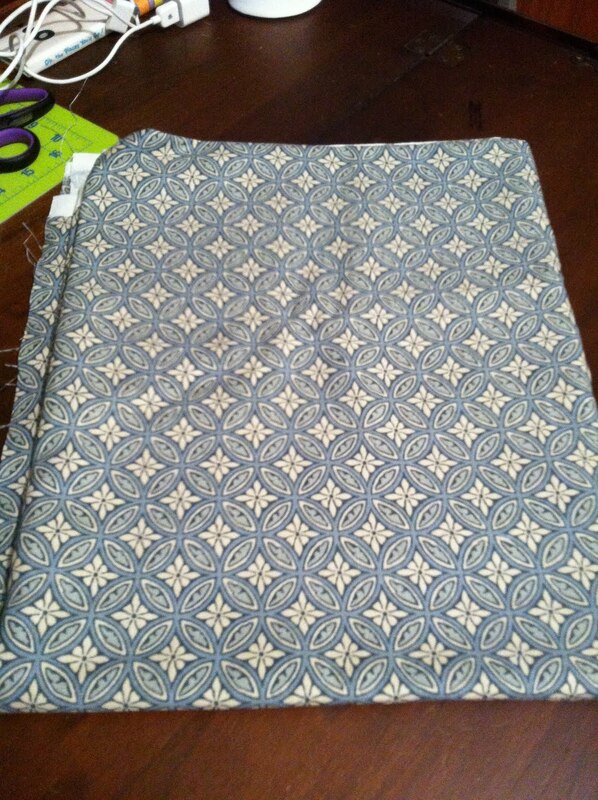 But LOOK at this fabric that I found, on sale for half price at Fabricland.﻿ I'm absolutely in love with it. 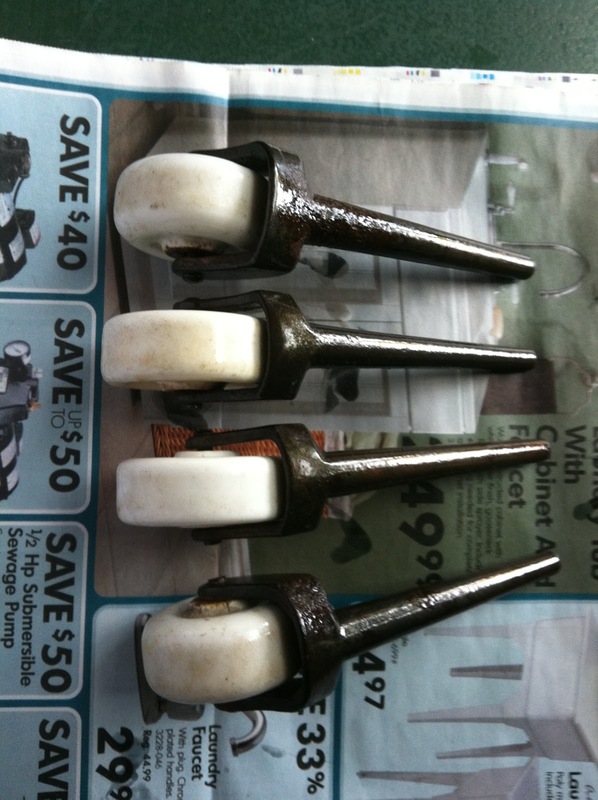 I also picked up these awesome antique cast iron and porcelain casters from eBay. I gave them a good once over with some steel wool, to get rid of as much of the rust as I could. I then clear coated them with a Rustoleum spray, to hopefully deter any continued oxidation. That's as far as I've gotten so far. We're having a wicked heat wave right now (and I think the rest of the continent is, too), so my energy level has been next to zilch. Hopefully soon I'll have a finished product to share!